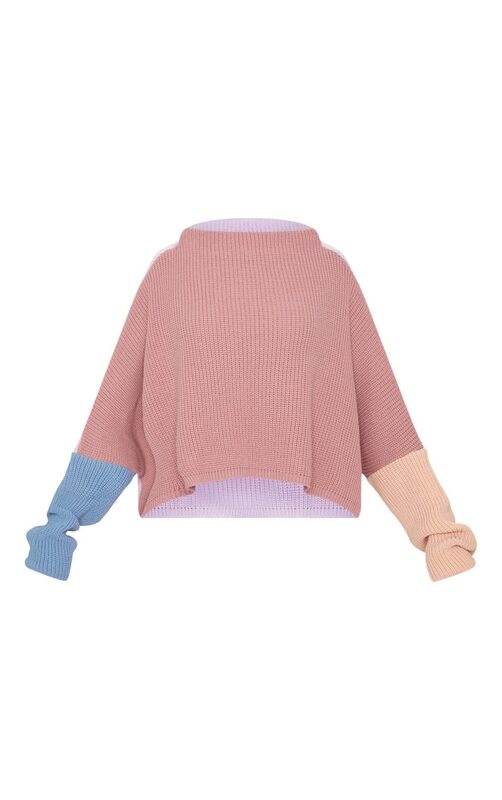 Can't decide on a color? 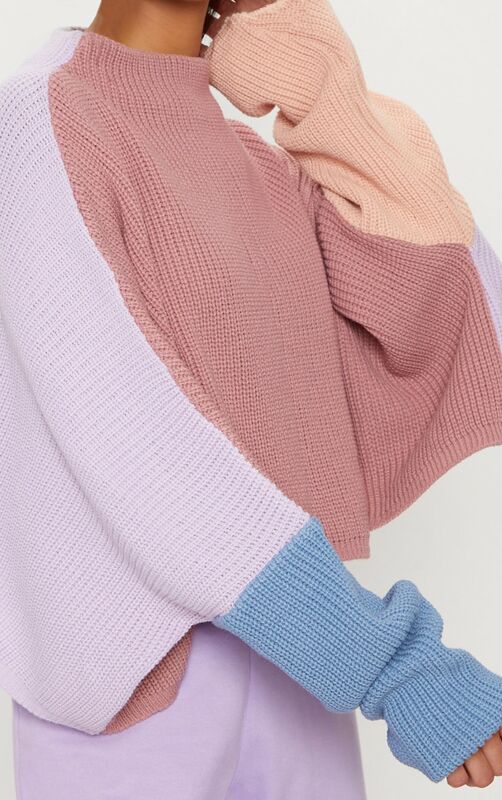 No problem, rock this colorblock sweater and wear them all. 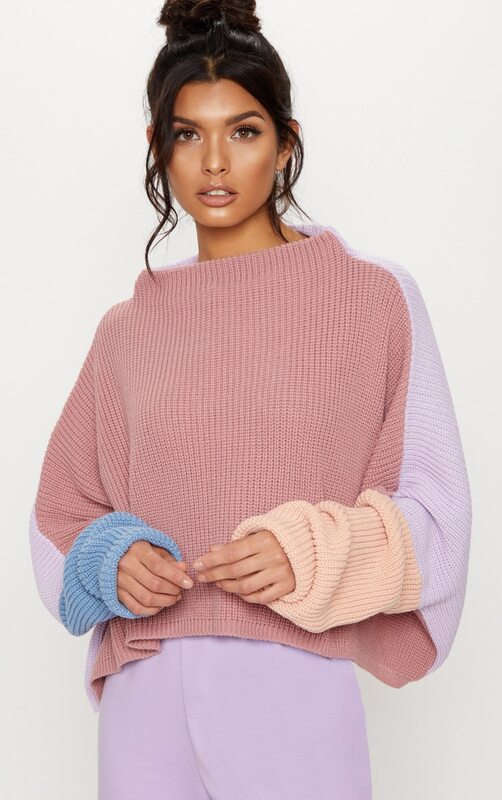 Featuring a pink, blue and lilac knitted fabric in an oversized style. 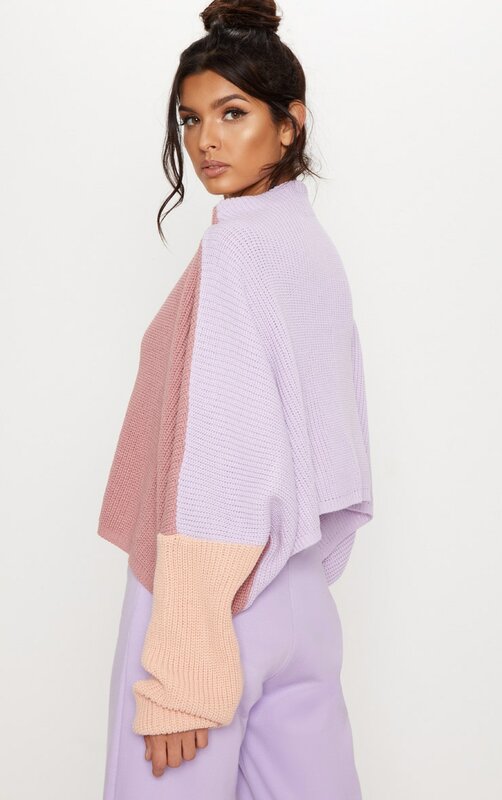 Team this with more pastels for a totally on-trend look that will get you noticed.